The ideal location for the Albert Dock and Liverpool One shopping, I discovered that Travelodge Liverpool Central The Strand is a handy base for both tired tourists and lazy locals after a long day exploring the city! My dad is a keen family historian. Sounds a bit boring doesn’t it? Yeah, I think my mum would agree with you there. So she plays absolutely no part in it, and mocks him mercilessly for only being able to trace a few generations back, despite paying years of subscriptions to Ancestry.co.uk and pawing through countless archives in the records office at Liverpool Central Library. So much so, in fact, that sometimes he takes a little family history break on his own, studying old censuses and marriage certificates for as long as he pleases and staying over at the nearby Travelodge Old Haymarket. It’s close to Lime Street Station, the World Museum, and the business district, and you can get breakfast at the delightful Lovelocks Coffee Shop just a few doors down (check them out, they’re lovely!). So with Fathers Day coming up, I was going to book two rooms at the Old Haymarket hotel as part of our Dad & Daughter ‘Who Do You Think You Are’ trip – our very own tour for two through Liverpool past and present, discovering family heritage and the city’s history. 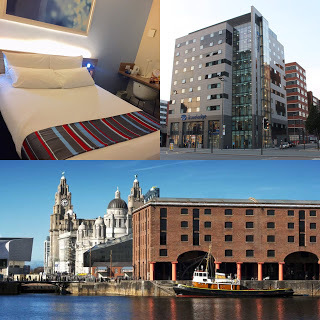 In fact though, as our plans expanded, we headed to the Travelodge Liverpool Central on the Strand instead – just over the road from both the world renowned Albert Dock and the Pier Head, home to the famous Three Graces. Our rooms were on the 8th floor – a designated ‘Quiet Floor’ – and a better night’s sleep I haven’t had in absolutely years! Admittedly some of this was due to having walked 8km around the city with my dad, checking out the library on William Brown Street, having a pub lunch on North John Street, in and out of museums, and stopping to examine war memorials. It was absolutely nothing to do with having a lovely meal and one or two glasses of house red at Gusto at the Albert Dock, honest. The Travelodge breakfast is definitely worth paying for, especially if you’ve got a busy day of sightseeing, events, or business ahead of you. It’s self-service, which means you can have as little or as much as you like (no prizes for guessing which end of the greed spectrum I’m at – I think I’ve told you about my ‘Buffet Behaviour’ before). You can choose from cereal, granola and yoghurt, or a cooked English breakfast. There was non stop tea, fruit juice, and – the big draw for me – Lavazza coffee. 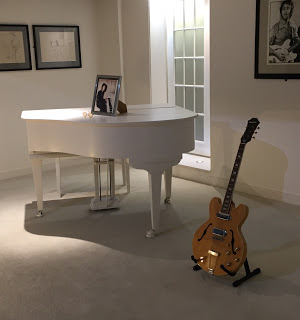 The breakfast set us up for the day and we were able to explore The Beatles Story at the Albert Dock to relive my dad’s teenage years, and learn about the city in my great great grandparents’ day at the Museum of Liverpool. After that we checked out of our rooms and took our overnight stuff to the car. The Travelodge doesn’t have its own car park but its only a 5 min walk from the very well lit and safe Q-Park at Liverpool One which is worth every penny (plus you get £5 off your 24 hour stay courtesy of Travelodge). The rooms were spotless. And I mean spotless. I’d rather stay in a clean simple room than one with chandeliers covered in dust and dubious stains here and there. When you’ve spent all week covered in Petit Filous and scraping raisins off the bottom of everybody’s slippers, the last thing you want is to be muttering “you’ve missed a bit” under your breath as you go round subconsciously inspecting the room. The staff were really nice but what else would you expect from the friendliest city in the world? For around £38 for a midweek room (ours were a bit more – about £55 – because of breaky and being on a ‘business floor’) it’s a real bargain for such a bloody good location. Whether it’s for a city break, tracing your family’s roots, doing the whole Beatles thing, or just somewhere to get your head down after a night out, it’s virtually impossible to find better value and location in a world class city. Stay with your mates, take the kids, go as a couple, or book a couple of days away for you and your Dad! To book at the Travelodge Liverpool Central The Strand and get heaps more information, visit their website or follow Travelodge UK on Twitter and Facebook for the latest offers and more reviews and photos.